A great go to recipe to use leftovers this quick and easy pot pie recipe is a winner any time of the year !!! Place one pie crust in pie pan -the other is for top. In a saucepan Melt butter, soften onions and Add flour ,salt &pepper ,broth and milk. 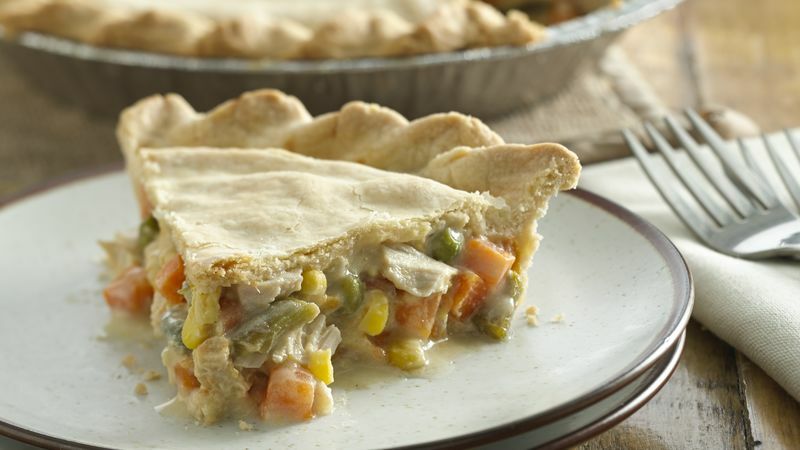 Cook until thicken - Add Chicken and drained vegetables - Stir and place in Pie shell - Cover with other pie crust dough and score with knife. 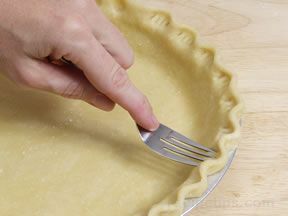 Seal the pot pie by pressing edges with a fork or fluting the edges. . Bake for 20 -30 minutes. * If edges start to burn cover with strips of foil .